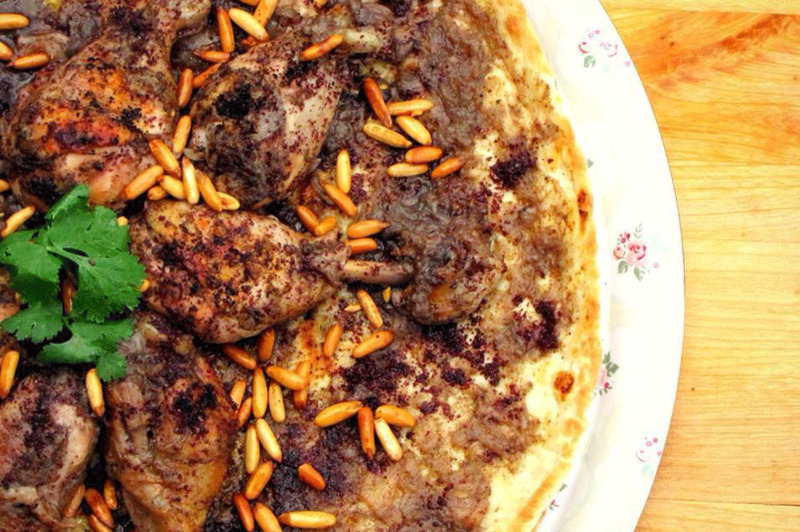 Al-Musakhan: Al-Musakhan is considered one of the most famous Palestinian heritage dishes which were made by Palestinian peasants in rural areas. The component of this Palestinian dish consists of layers of bread made locally by the Palestinians called Saaj Bread in the Arabic language which is baked on a tabon, domestic onions, Palestinian olive oil that soaks the dish, tannin that grows excessively in the wilderness, Chicken and pine; pine trees grow a lot in Palestine. Palestinians are used to serving this dish at weddings and feasts. 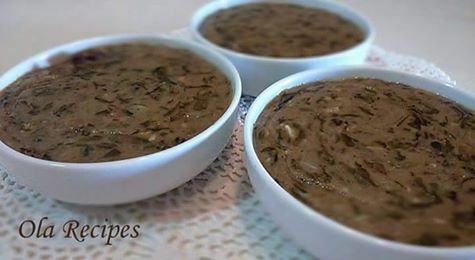 Al-Musakhan dish has become common in most cities in the Levant and spread to the world. Sumaghiyyeh: Sumaghiyyeh is considered one of the Palestinian foods passed down from generations of Palestinians. It is an old dish famous particularly the city of Gaza; a Palestinian city. It is named Sumaghiyyeh because its main ingredient is Sumac. The Sumaghiyyeh dish is served in special occasions such as weddings, Eid and in funerals. This dish can be served in any weather condition and can withstand a week without saving it in a cooler. 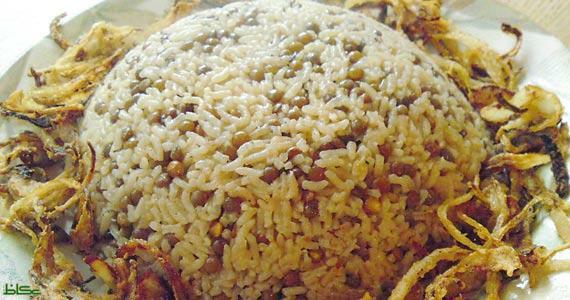 Palestinian Mujadara: Al-Mujadara is a famous Palestinian dish which consists of lentils, bulgur wheat (boiled wheat) and olive oil, and fried onions. 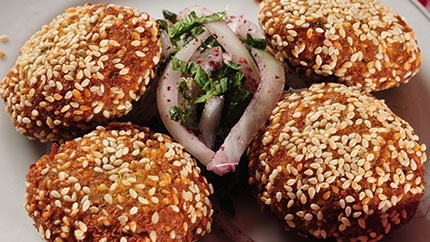 The Fried onions are considered the main ingredient in this Palestinian dish. Falafil: A Palestinian dish made from beans soaked overnight. The beans are milled, kneaded adding spices then fried in hot oil in the form of tablets. There are two types of Falafil; the first type is made from ground beans as is the case in Egypt and the second is made of ground chickpeas which are popular among Middle Eastern countries. This dish can be served on plates with dishes such as Humus and Salads provided or in a bread loaf adding Humus, Tahini, Salad, sumac and lemon calling it a Falafil sandwich. This dish is a perfect option for vegetarians.